We've heard that there is a possibility that n8 will be release to the Indian market earlier than the Europeans. 1st Week of September. And that Nokia Italy are already taking pre orders by the end of September. I'm still holding on to January release date for Philippines. Symbian^3, the latest version of Nokia’s smartphone operating system, was officially completed on June 17th. The next stage before we actually get the phones involves tweaking and testing its settings to make sure it works optimally with the hardware on the forthcoming Nokia N8 and the family of Symbian^3 devices that will follow it. Symbian’s graphics have been turbo-charged with a new graphics architecture, incorporating hardware acceleration and faster software. The Symbian^3 UI now scrolls with a swipe, you can pinch to zoom and tap to select. The interface also supports multitouch, which typically means that you can type faster on a virtual keyboard, or perform more complex actions such as holding a virtual ’shift’ key and then typing a letter. If you’ve been following the blog, you’ll already know that Symbian^3 supports output to HDMI (High-Definition Multimedia Interface) for showing photos or videos on televisions. If your video is suitably encoded, then you can also takes advantage of Dolby Digital Audio. Symbian has always allowed for true multitasking. In Symbian^3, this gets better than ever. Symbian^3 introduces a host of new technical protocols for making better use of location information. The Symbian OS has a new networking architecture that “significantly improves data flow performance” and makes it easier for service providers to create networking extras such as firewalls and hotspot login apps. 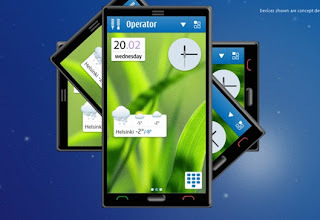 Symbian^3 comes with Qt installed and will be a standard development environment for Symbian releases going forward. This makes it easier to write apps that will work across all the devices in the family and the smart installer feature will load any necessary libraries onto users’ phones, reducing file sizes and support headaches.